Preserve value, protect against inflation and crises. Physical gold provides various benefits to investors. 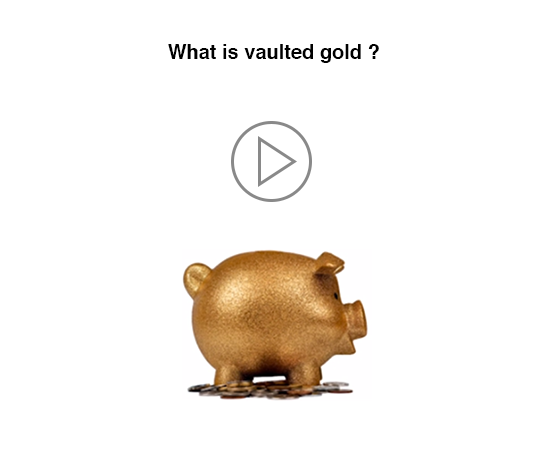 Professionally vaulted gold offers low costs, high liquidity and secure storage. Investors can often choose amongst national and international vaulting locations when buying vaulted gold. Vaulted gold will also be delivered to you upon your request. Physical gold and its purchase are not subject to extensive regulation. Searching for safe and reasonably priced investments in gold is difficult as the costs for physical gold can vary widely and pricing may lack transparency. We’ll help find the right deal for you. We assist you in comparing and evaluating vaulted gold from various providers. We review offers by gold investment providers and help you compare costs for the purchase of gold and its storage. 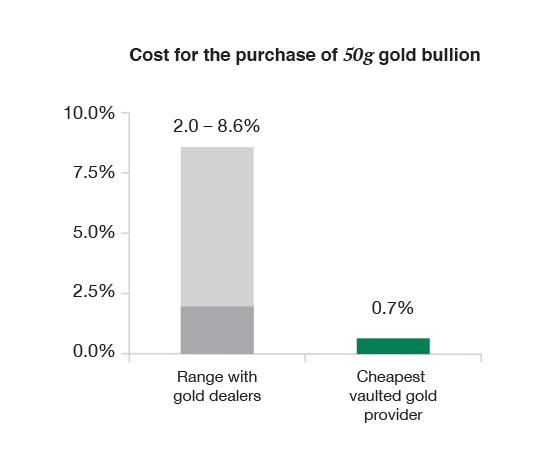 Compare providers of vaulted gold against our safety criteria.